Last night we drove 30 minutes to get to a Chipotle because I wanted to try making barbacoa beef like theirs but I had to remember what theirs actually tasted like first. 30 minutes isn’t much but it’s not really worth the drive for a chain restaurant, it’s a just better option to make it at home instead, right? Plus it’s cheaper and you get to enjoy it in the comfort of your own home. I didn’t do a side by side comparison, I forgot to bring some of it home, but this is very close to what I remember eating last night. 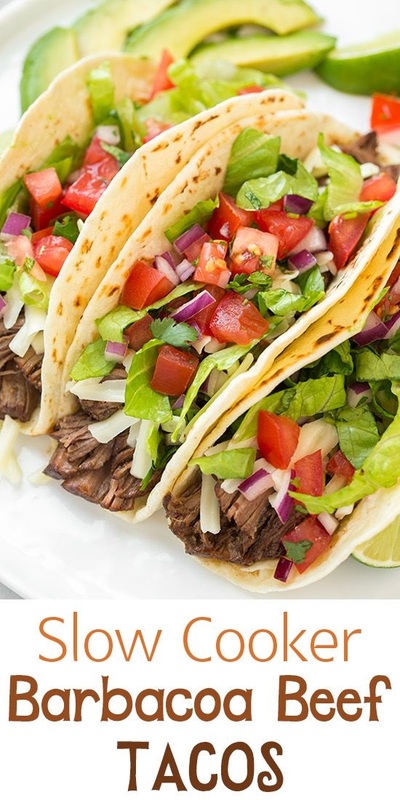 It may be a little spicier, but maybe I just wasn’t noticing the spice in Chipotle’s beef because I had so much sour cream doused over my taco – one more nice thing about making these tacos at home, you control exactly what goes in them and how much.